This article is written based on people’s belief in metaphysics. Many people dismiss aura photography in Los Angeles as pseudoscience. They don’t consider it a valid field of study and dismiss its benefits as something that can’t be quantified. It’s hard to convince a skeptic that aura photography has some merit, that there are decades of research invested in human auras and their influence. Some say we respond to human auras instinctively. When you recognize someone as trustworthy, or stern, or bad, you’re not really reacting to their looks, but the vibe you get from them. How many times have you met a person and instantly liked or disliked them? That’s you responding to the aura and feel of the person. There are some people who are more perceptive in these matters than others. Nevertheless, it’s acceptable to conclude that everyone feels the influence of auras to some extent. Is it really that much of a stretch to conclude that auras have some influence over your wellbeing? Regardless of how you use it, aura photography in Los Angeles could help you gain insight into overall wellbeing. Here are some ways you could benefit from aura photography. 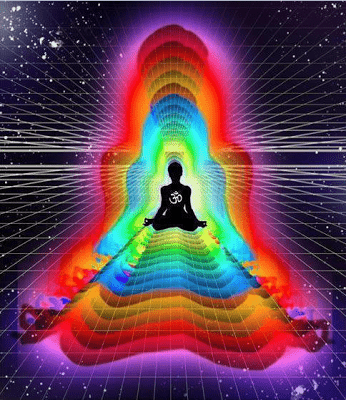 Understanding the Influence of Auras – Your aura is made up of different levels of energy. All of these energies have an influence on spiritual wellbeing. An aura photograph will depict these levels, allowing you to see where a disturbance is coming from. Understanding Blocks in Your Aura – Sometimes, a block in your aura can cause an imbalance. These might be limitations that you’ve placed on yourself, which you might not even be aware of. For example, you might assume that you’ve moved on from a bad relationship or a professional disappointment. But, that might have left an impression on you, affecting the way you interact with people or conduct your professional dealings. You might not even recognize these changes, but they will be visible in your aura. Aura photography in Los Angeles could help you identify the limitations you’ve placed on yourself. When you know these limitations, you might be able to overcome them. Inner Peace – Understanding your aura might just be the thing you need to accept your strengths and weaknesses. This acceptance will transform your life and allow you to bring about the changes that you need to succeed, both in professional and personal aspects. Getting your aura photographed is a wonderful way of enriching your life!